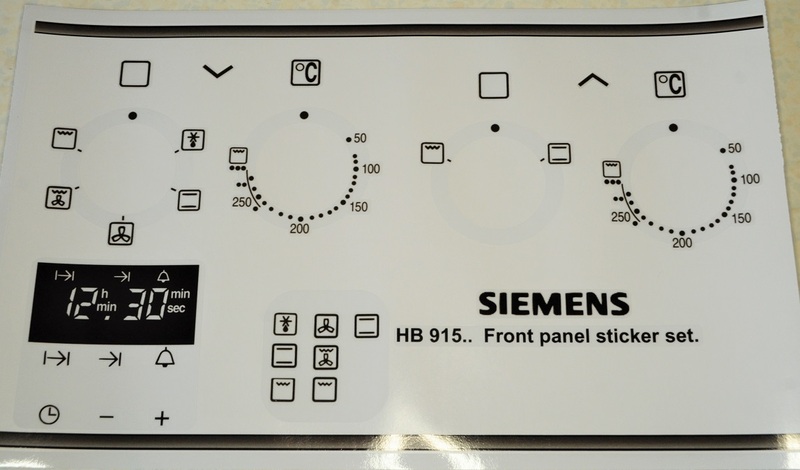 Siemens HB915... series front panel sticker set. Chef CVE624 & SVE624 Oven fascia decal sticker set. 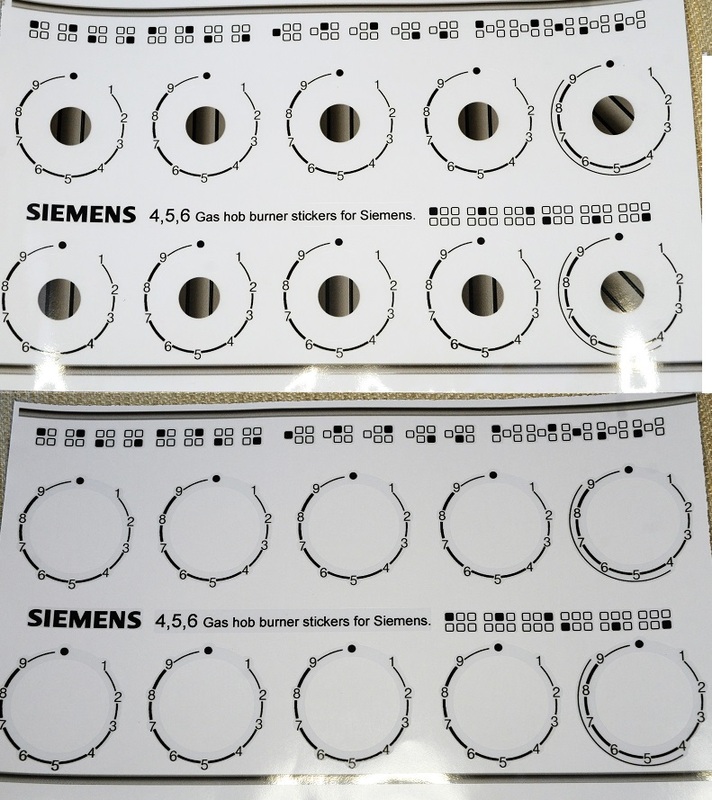 Siemens 4,5 and 6 burner gas hob stickers, may suit others. 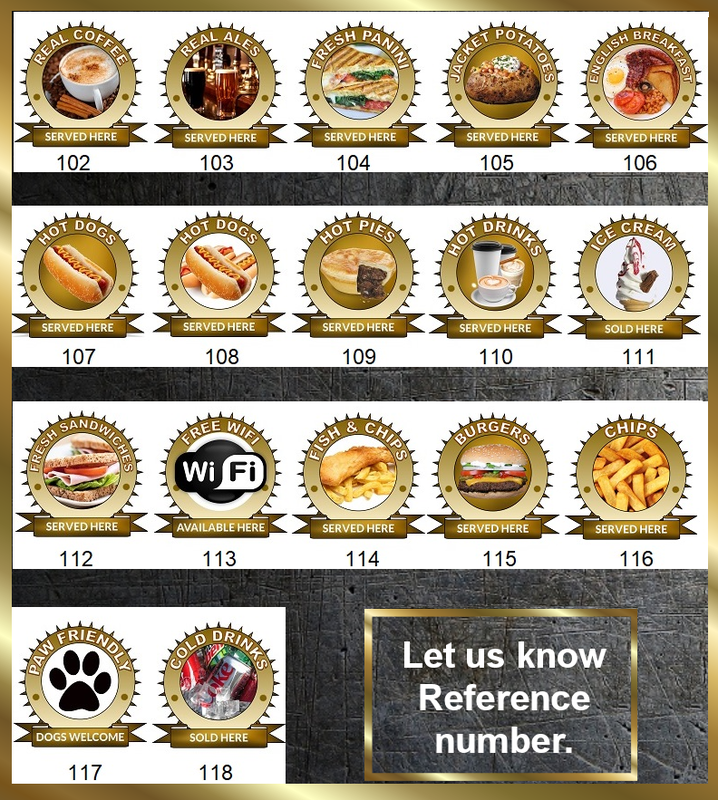 Universal decal sticker sets for cookers and ovens. Hob, Oven and Grill good decal stickers in black with white. Hob, Oven and Grill good decal stickers, solid white. Hob, Oven, Grill decal stickers in black and gold, rectangle. Mixed Oven icon clear vinyl stickers with temp. Universal Hob stickers 9-1 anticlockwise, 45mm, 36mm centre. 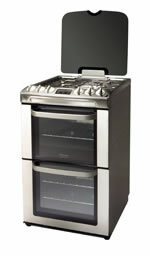 Universal 6-0 Electric hob stickers, fits Lamona.